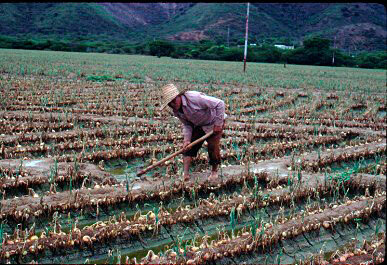 Onions are a very popular crop throughout Latin America. The formation of the bulb is dependent on daylength. In Costa Rica, short day cultivars are planted. For information on production and management of onions, refer to the New England Vegetable Management Guide and click on "onion". 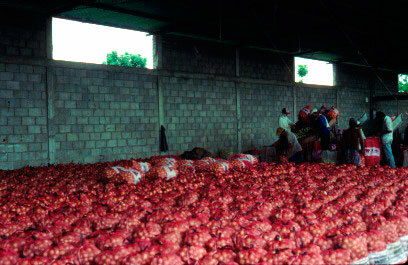 Among varieties popular in Costa Rica are Granex 33, Granex 2000 and Yellow Granex 429. These are all short day varieties. It is important to choose a variety appropriate for your climate.